Robert Schneider used to work as a bargeman between the towns of Mannheim and Rotterdam. 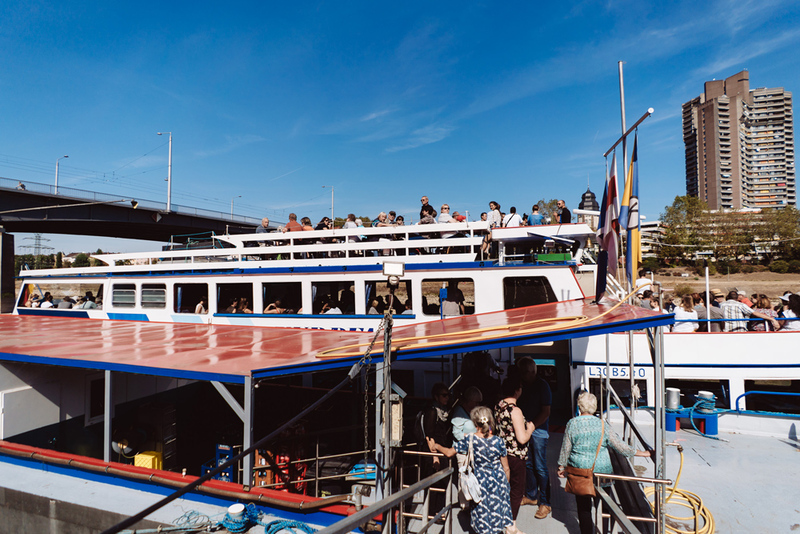 Today he takes people round the harbour of his hometown Mannheim on his passenger ship “Kurpfalz” (Electoral Palatinate) and tells them about life on the waterfront—about constant change. Robert Schneider steers the blue-and-white painted ship from the cab that is too small to hold more than one person. However, the captain is not alone. Standing on the “Kurpfalz” sun deck you can keep a sharp eye on him through a windowpane, watching him get the ship moving with feeling by means of a small lever and turn the large wooden wheel in a practised manner to adjust the helm. 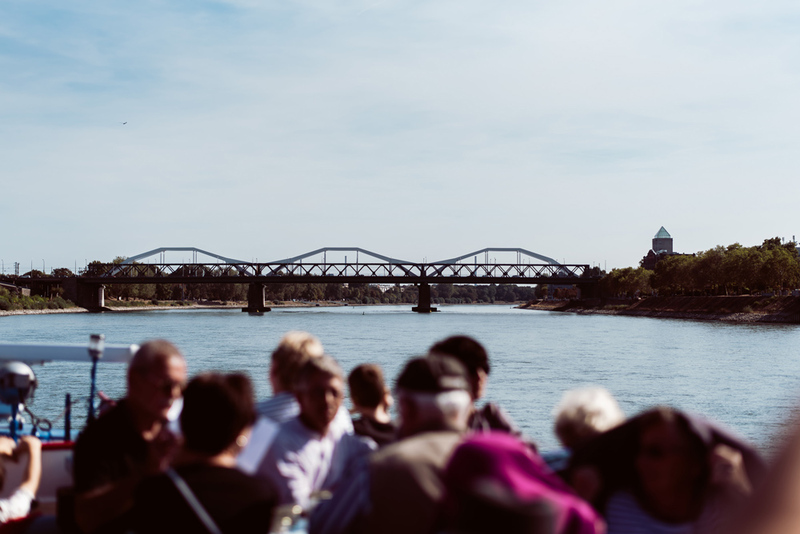 The round-the-harbour boat trip in Mannheim typically starts on the Neckar river, close to the Kurpfalzbrücke bridge. Many of the tourist parties not only come from the region but from across Germany and those who don’t know the city yet are introduced into Mannheim’s smells first: The downstream voyage ships passengers past the famous chocolate company that natives call “Schokinag” as it used to be called, even though it has had a new name for a long time now. 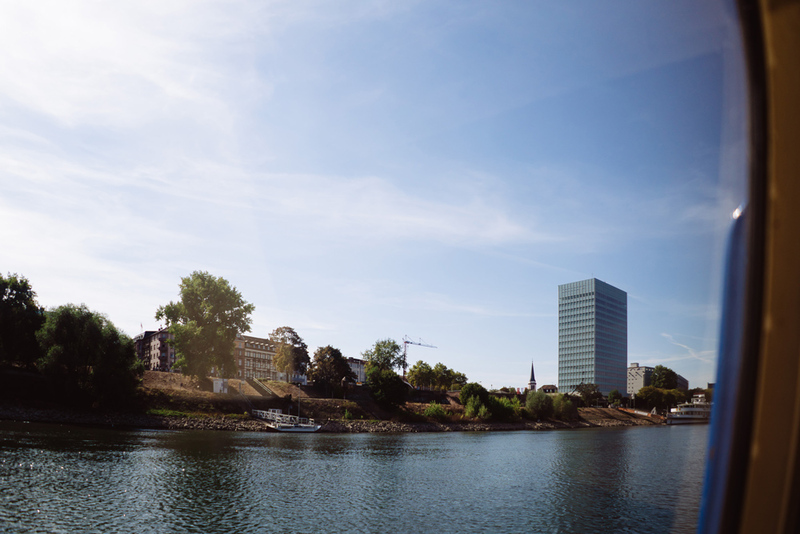 Then on to Mannheim’s typical contrasts and beyond: mountainous, colourful walls of stacked containers and gravel and sand piles as well as the Musikpark start-up centre on the left; the green meadows along the Neckar—the “Neckarwiese”—with joggers and strollers on the right and behind them the new Mannheim town archives “Marchivum” erected on a former war bunker. 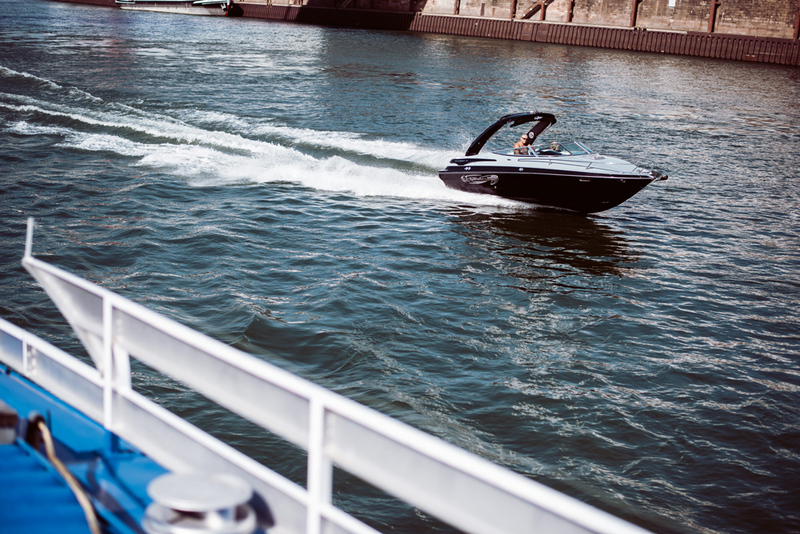 Passengers will experience a good two-hour boat trip—the harbour is extensive. 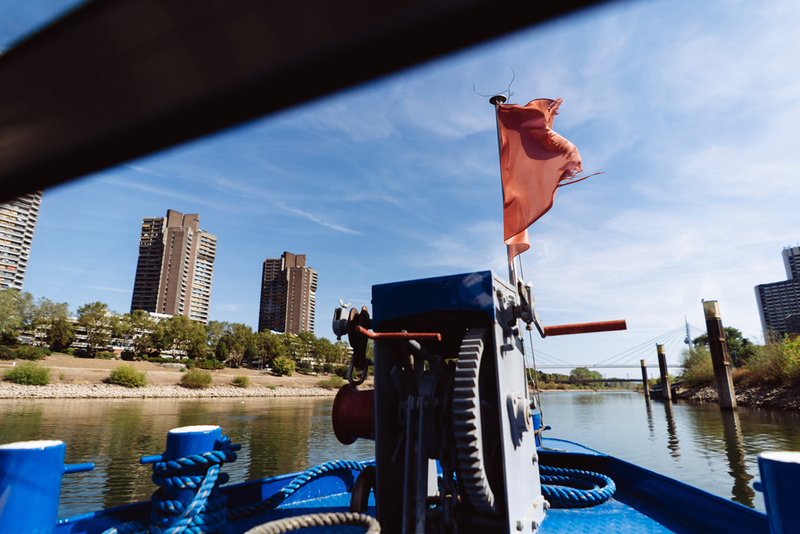 On an amazing journey, Robert steers the boat through the joint harbour area of the towns of Mannheim and Ludwigshafen, which together form one of the most important river docks area in Europe and which are much more extensive and complex than most passengers would have imagined at the beginning of the tour. 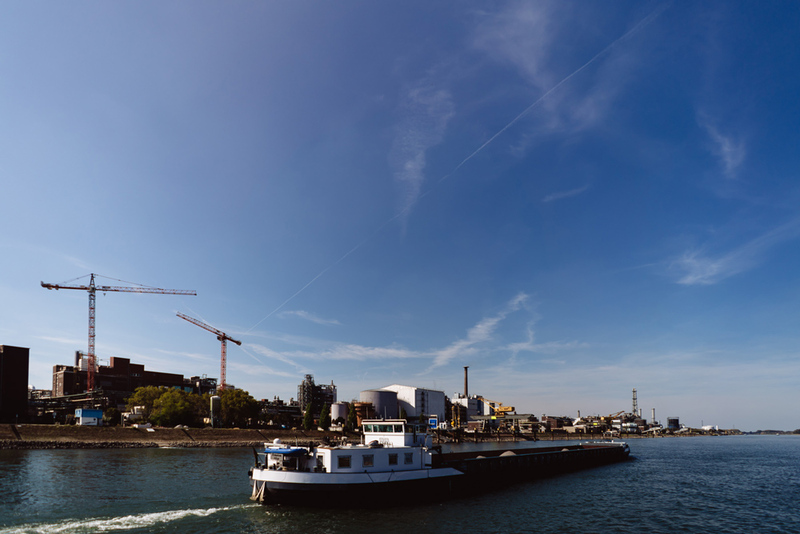 On the port side, shortly afterthe point where the Neckar river flows into the Rhine, lies the habour part called Mühlauhafen. 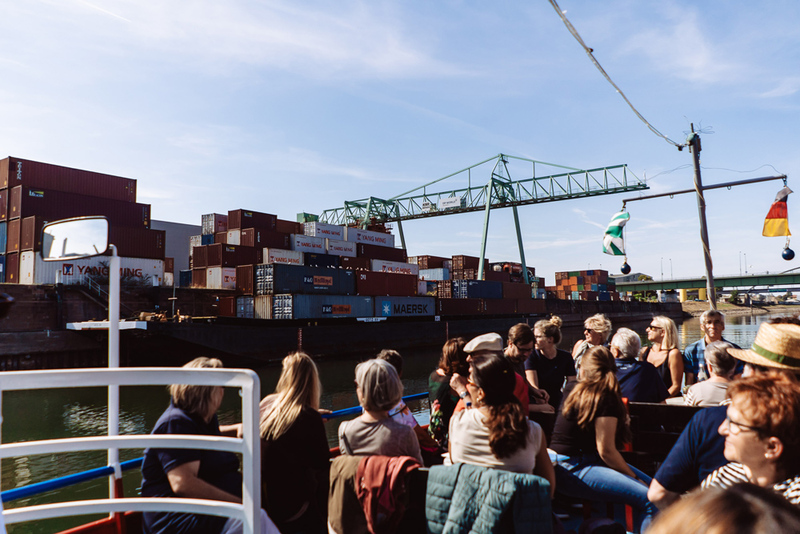 Passengers learn that the containers stacked here in huge piles are shipped to Antwerp and Rotterdam and from there across the Atlantic to global ports. 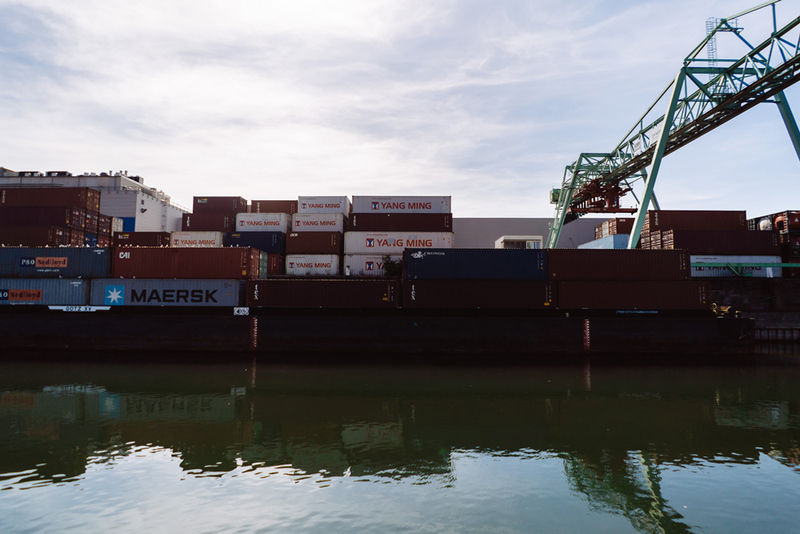 Robert explains that container ships are the most energy-efficient means of transportation and are much quicker than you would expect—thanks to congestion-free waterways. 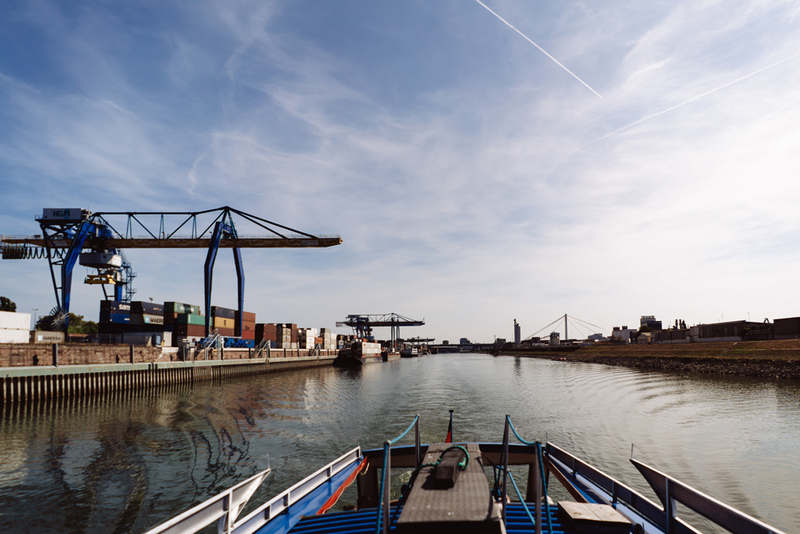 The tour from Mannheim to the Dutch port of Rotterdam takes as little as 30 hours. The way back upstream against the powerful Rhine current, however, takes about 50 hours. 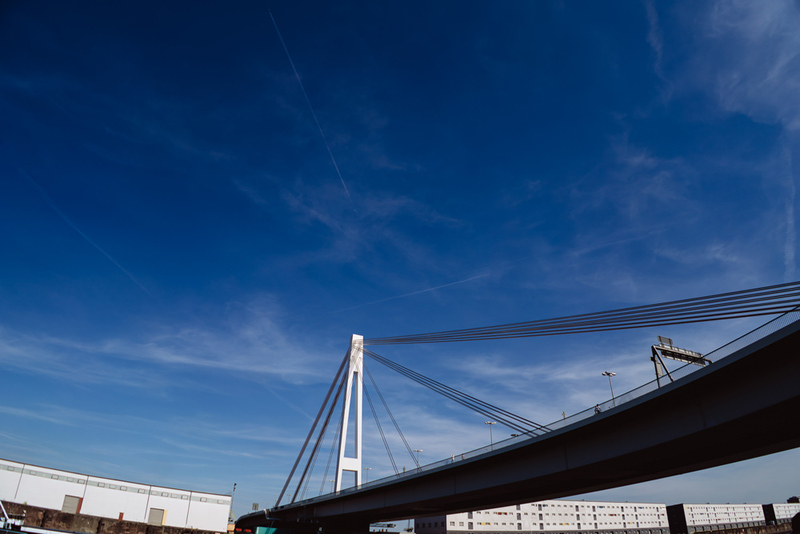 More than 130,000 containers were loaded in Mannheim in 2017 alone. What is inside? Robert laughs through the microphone. 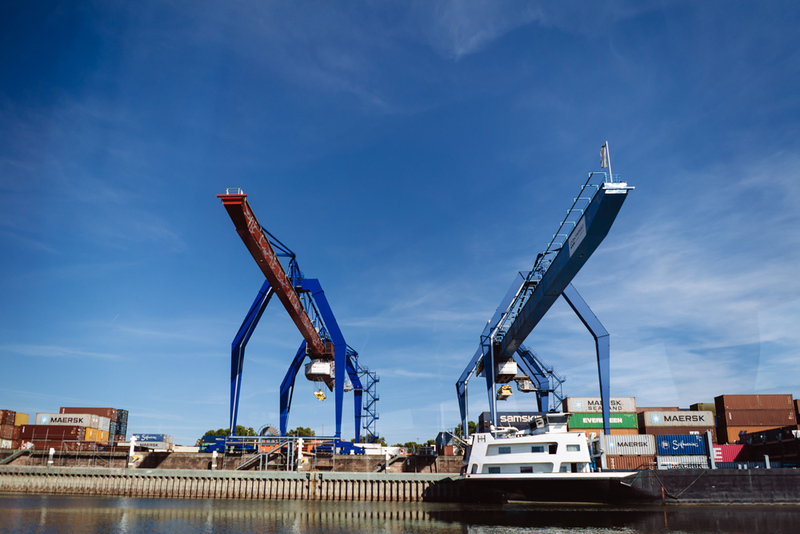 “Anything that fits: underpants, bicycles, jelly bears.” Unlike at the sea, there are restrictions for rivers: A maximum of two containers can be stacked on top of each other for Neckar shipping, because many bridges are low. 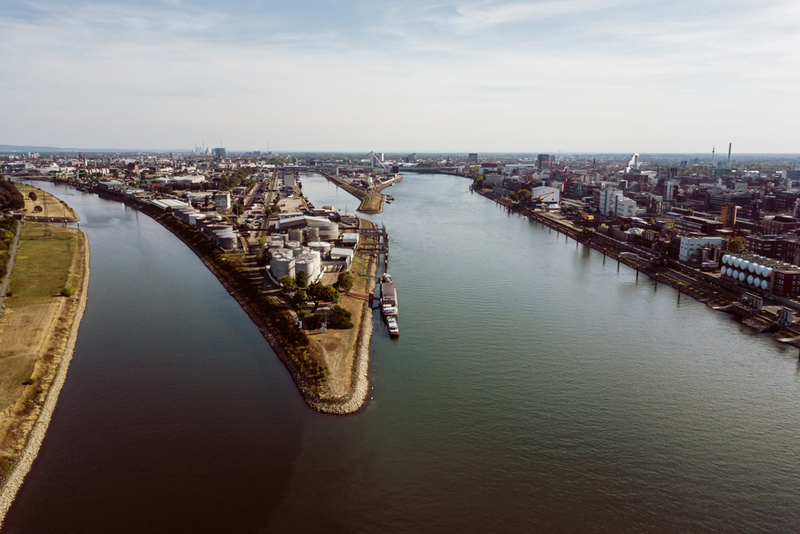 Shipowners may stack two more layers for Rhine shipping though. 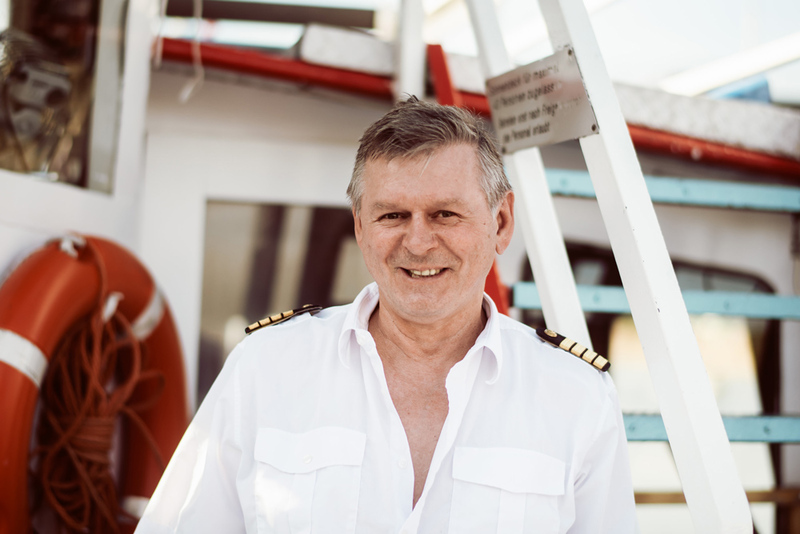 A native of Mannheim, Robert has worked for over 40 years in the shipping business—either on the water or in the management. He transported gravel from the Upper Rhineat first. Later he steered tankers. In 1997 he acquired his dear “Kurpfalz.” This rarity is quite a museum piece, but in top shape: built in 1929, 30 metres long, 5.40 metres wide, driven by a 355-hp engine, designed for 220 passengers on three storeys. 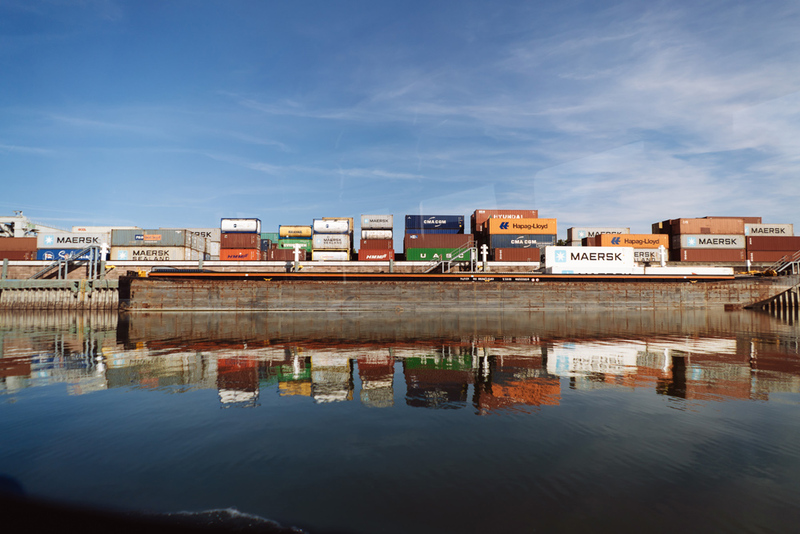 “Shipping is an old, straightforward business,” says Robert about his dream job. “It can be conducted with a few, simple means.” However, technology makes his work life much easier today. It is not long ago that a 150-kilo anchor was raised through‘manpower’ via a windlass. 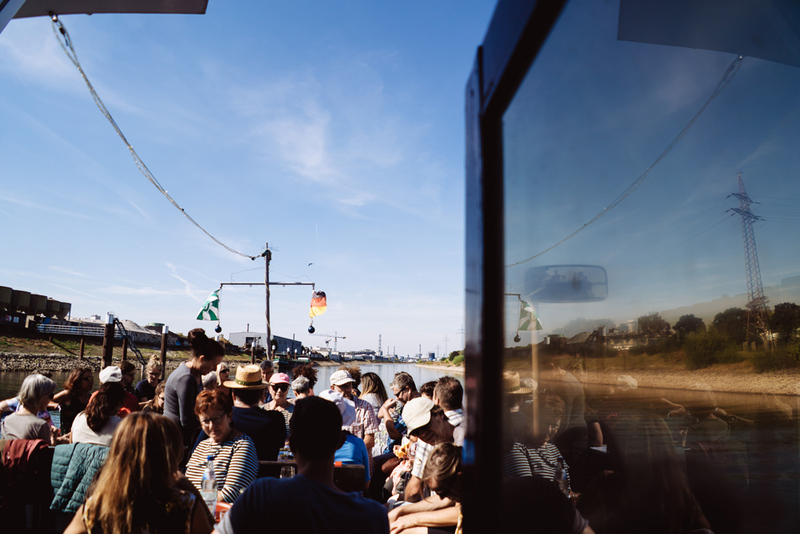 Apart from round-the-harbour trips, Robert and his ship offer lagoon tours into the original Rhine riverbed Altrhein at Sandhofen and special day tours into the region. 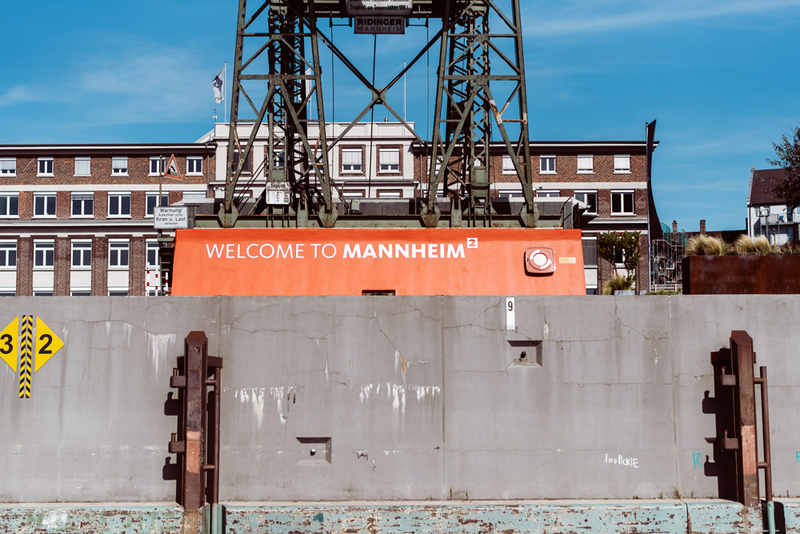 What Mannheim harbour means to him? “It’s my home,” he says. In private, the captain is a man of few words. Only during the tours and via microphone he becomes quite talkative presenting his passengers life around the harbour. 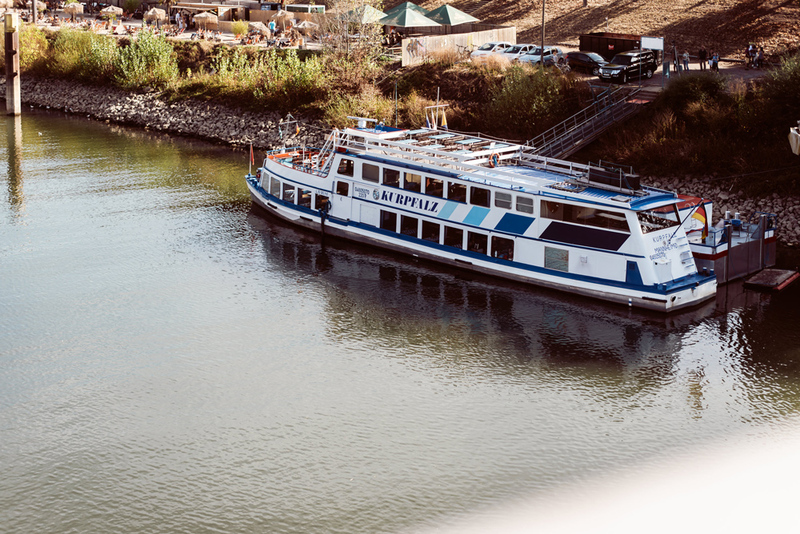 The “Kurpfalz” has cruised from the Neckar into the Rhine. Upstream it now passes the fancy hotel “Speicher 7” (storehouse 7) and the Mannheim harbour company administration building, where the long river cruise liners dock—around 700 per year. 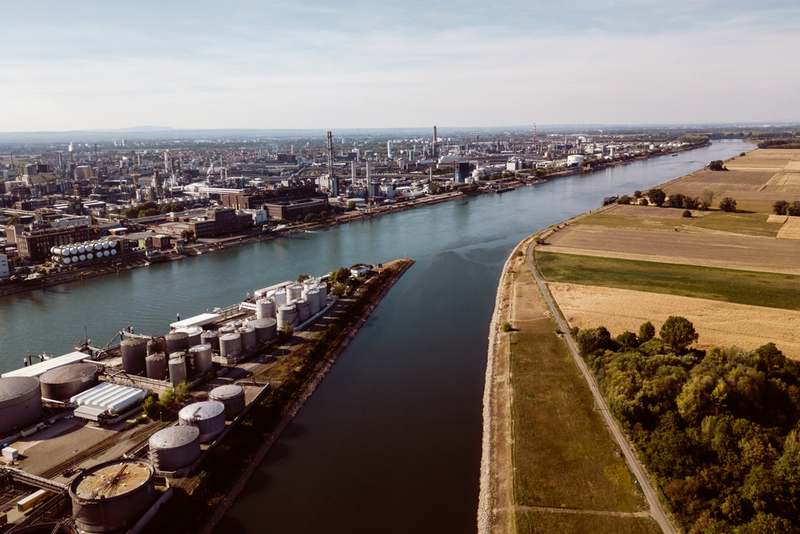 Just before the Konrad-Adenauer-Brücke bridge, the “Kurpfalz” comes about and steers downstream along the eternal BASF port facilities. 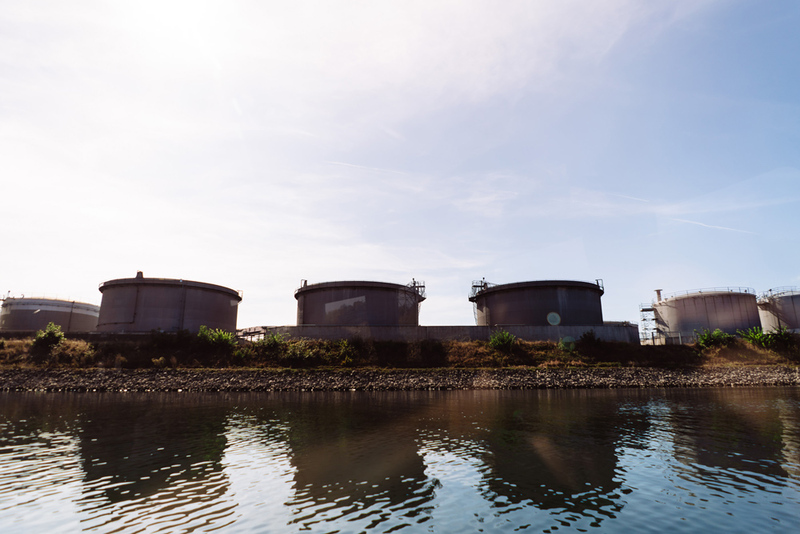 The chemical manufacturer provides for 75 percent of the total shipment at the western bank, Robert tells us. Downstream of the Neckar river mouth the ship turns right into the original riverbed Altrhein and passes the Mannheim animal home and “one of the oldest ferries in Germany.” On we cruise along factory buildings of a former chemical pulp producer, the “Zellstofffabrik Waldhof”, and of a pharmaceutical company towards the impressive tower of the school Luzenbergschule. 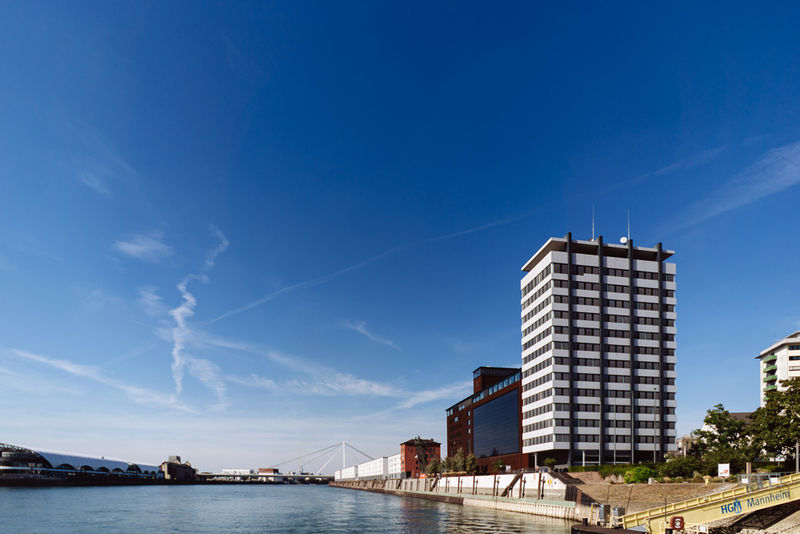 Luxury flats are built along the river bank—people are rediscovering life at the waterfront. Robert continues with his speech: In the extensive industrial harbour, the company Hutchinson, who nowadays make rubber items for the automotive supply industry, used to produce condoms and soothers. “The latter sold well when the first had failed.” The skipper knows all the old stories and the new names in the harbour well: world-famous fashion designer Dorothee Schumacher’s offices as well as the city beach Playa del Ma. 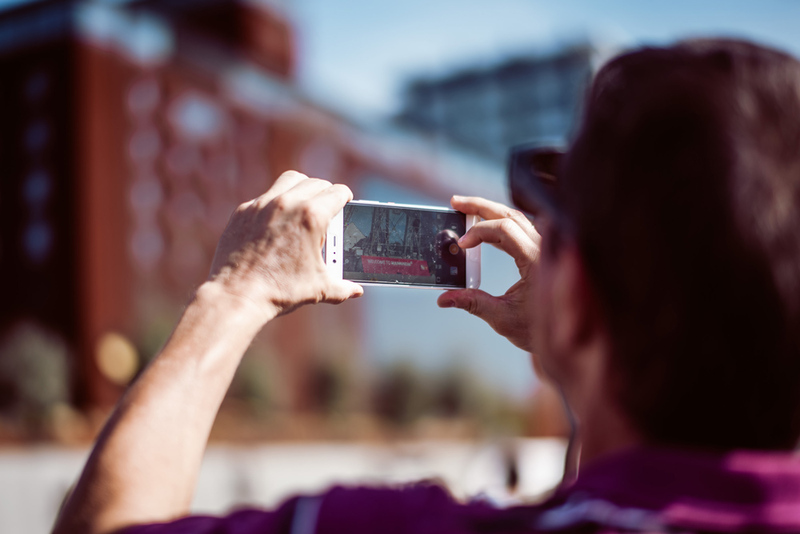 Massive redbrick mill buildings on the opposite bank face a new era—Robert tells ushow creatively they are used already. In spring, when the season starts, he does an inspection tour through the harbour to learn what has changed. For two or three trips then, he needs a little crib. After that he knows the new details from memory as well as everything else. 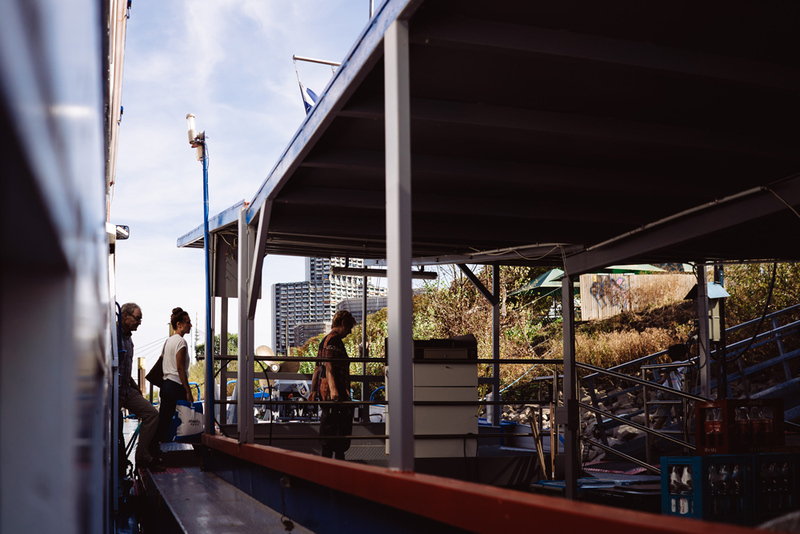 The tour is concluded with a lock experience in the industrial harbour. A little boy, who spends the day on board with his grandma, peeks curiously over the rail. The “Kurpfalz” overcomes 40 centimetres difference in altitude through the lock, the captain explains. 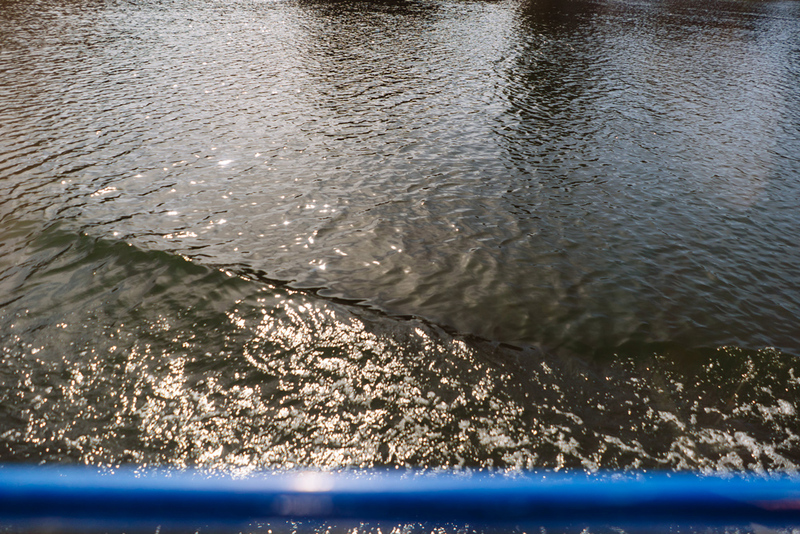 Afterwards the ship returns to the Neckar, to the mooring close to the Kurpfalzbrücke bridge. The same night again, however, Robertwill cast off for a moonlight tour through his home port.